Our process is really important to us. We've been using these same steps for HTML Email Newsletter projects over the last 5 years. They ensure your email newsletter project is a resounding success. Before rushing into the design we'll gather your requirements and produce a 'blueprint' showing how we intend to lay out your HTML email. From your approval we move on to the design stage. We'll then code the design & integrate it with MailChimp (or other platforms). We'll make sure the email newsletter is fully content managed so you can add repeating regions, change the wording and generally customise your new email newsletter. Using the wireframe as a guide, we'll spend time producing an HTML email newsletter design that is consistent with your website and branding. 3 rounds of revision are available here should you need them. 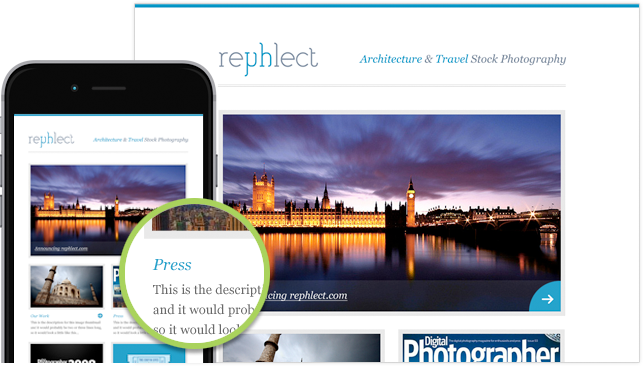 We'll send out a "test copy" of your new email newsletter so you can review it. We'll make any tweaks we need to and then on your approval, upload the newly created HTML email template to your MailChimp account. Nothing speaks for itself like real world examples of client projects. 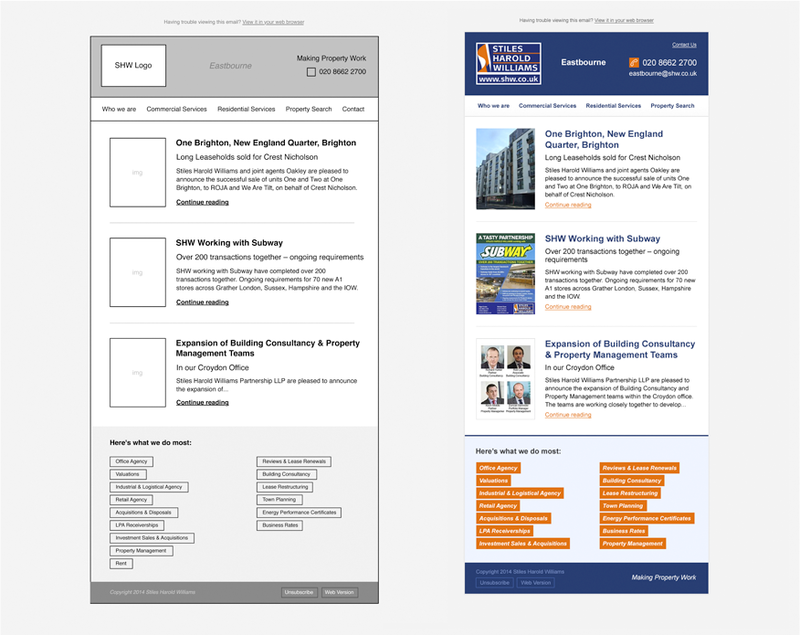 Here's a small selection of HTML Email Newsletters we have designed and developed. 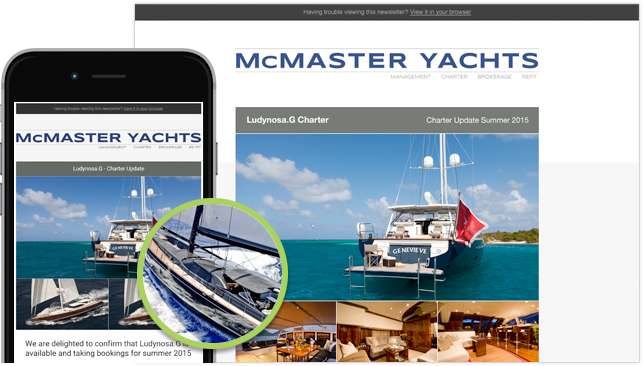 McMaster Yachts asked us to look at creating an HTML email newsletter after we completed their new responsive website. The email newsletter is totally content managed, so McMaster can send out newsletters with variable content, choosing which elements to use depending on that month’s content. Stiles Harold Williams required an HTML email design integrated MailChimp to match the look and feel of their existing website and brand materials. The solution was this simple news based email which is fully content managed, so each SHW branch can use it when they connect with their client bases. 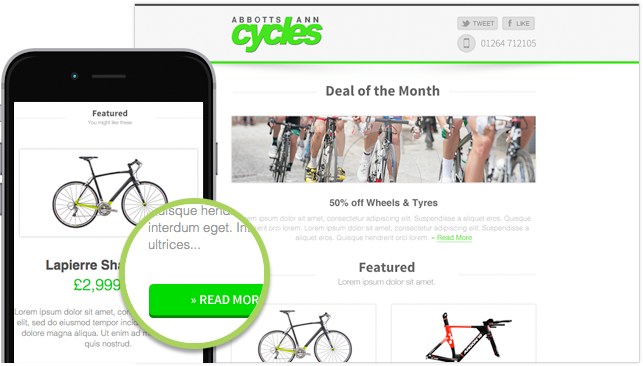 Abbott Ann Cycles needed an HTML email newsletter design to match their new website. 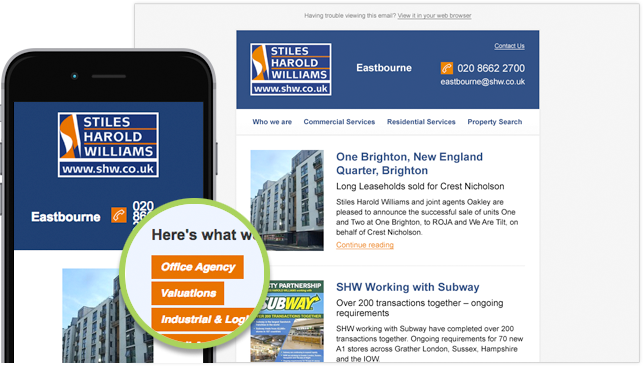 The email newsletter is responsive, so it looks great on mobile devices and tablets and perfectly matches the look of their website. Thamer Al-Tassan, a published photographer, contacted me to design an HTML email for his latest project. This newsletter makes full use of MailChimp’sCMS abilities, meaning the client can add/remove new content blocks, and have full control over all the images. After we designed & developed Skinmaze’s ecommerce store, we also created two types of HTML email design for them, and integrated them both with MailChimp so they are both fully content managed. 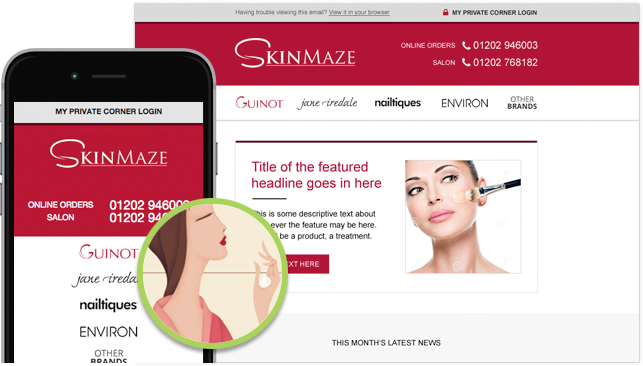 One email lets Skinmaze send out product updates and feature products, whilst the other allows for more general news. Whether you're a business owner or an agency, we can work together. One of the most frustrating HTML email bugs solved! Email marketing is a must for all businesses. Here are 6 reasons you should start. MailChimp or Campaign Monitor? The Pros and Cons of using both. This is a tough one. 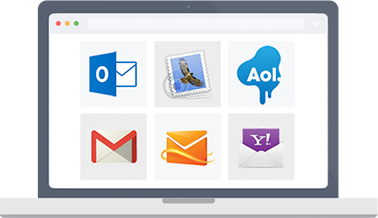 Which platform do you choose to trust your HTML email marketing future to?